If you’re still holding out on buying a Wii or a Kinect for whatever reason, your Apple products could prove to be a fun substitute. 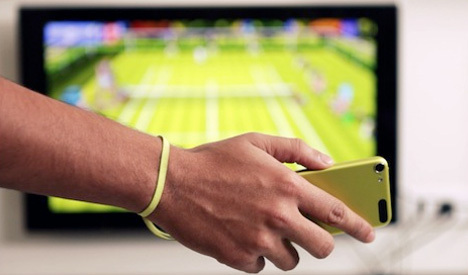 Rolocule Games introduced an app called Motion Tennis that uses your iPhone and Apple TV for a Wii-like tennis experience. The devices are connected via AirPlay Mirroring so that your iPhone becomes a tennis racket. The gaming system is a simple one, but one that could prove to be a lot of fun for people whose lives include a lot of Apple products. Just one word of advice, however: strap your iPhone to your wrist before you play or risk some very expensive damages. See more in Gaming & Geek or under Gadgets. July, 2013.